Scott Disick is dead to the Kardashians — with one big exception — after what they believe is a vicious campaign against Kourtney. People close to Scott tell us … the cavalcade of women he’s been with since touching down in Cannes is a well-planned offensive to hurt his baby mama and make her jealous. They say he had no interest in Bella Thorne … she was just his opening salvo. We’re told Scott’s been livid Koutrney’s been dating 23-year-old Younes Bendjima. Scott felt he was on the verge of getting back with her and then learned she’s been seeing Younes on and off since October. The Kardashians, especially Kourtney, are done with him. No more family dinners, vacations, and as we reported, Kourtney will not let Scott see their 3 kids until he proves he’s sober. 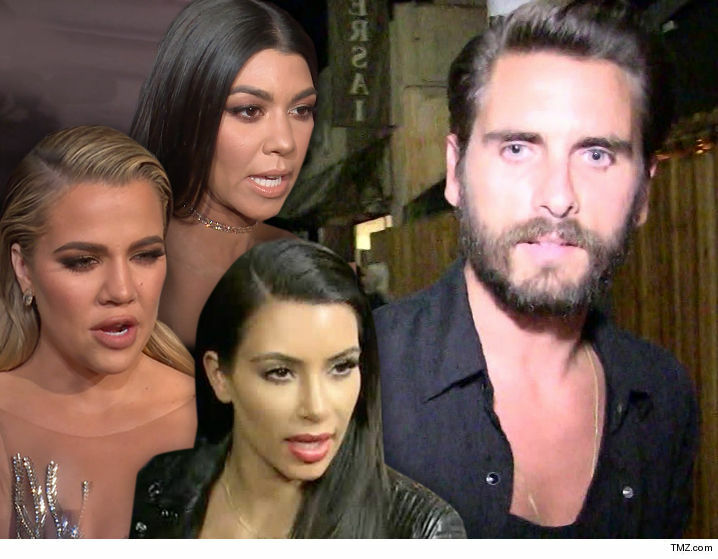 One of the things that especially irks the Kardashian brood … Scott is trying to be photographed with these women, and the pics and stories will live online for their kids to read one day. As for the big exception … we’re told Kris is still all in trying to sell a house-flipping pilot starring Scott.